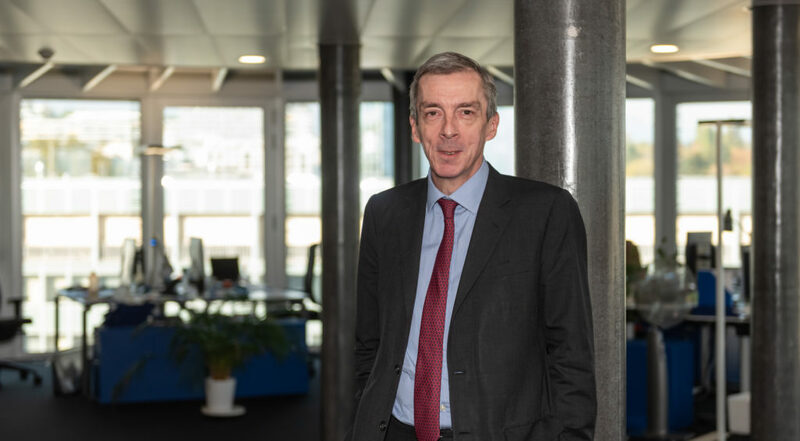 Charles Gore took over as Executive Director of the Medicines Patent Pool (MPP), a Geneva-based foundation, in July 2018, just after its board decided to significantly expand its mandate into “essential medicines” – those therapies most critical to tackling some of the world’s leading diseases. Nine months into his term, Health Policy Watch’s William New talked about the strategic course he is steering. A long-time public health advocate, Gore has personal experience with life-threatening diseases, having been diagnosed with Hepatitis C (HCV) in 1995 and with cirrhosis in 1998. In the year 2000, Gore set up The Hepatitis C Trust, which he ran for 18 years. He was then cured of the virus in 2002, when new generation HCV drugs first became available. In 2007 he established the World Hepatitis Alliance, and served as its president for a decade. Partly as a result of advocacy by the Alliance, WHO adopted a series of resolutions on viral hepatitis in 2010, 2014 and 2016, culminating in endorsement of the goal for Elimination of hepatitis B and C by 2030. Gore also sits on a number of international and WHO advisory committees for HIV and Hepatitis, and has been a member of all the WHO guideline development groups on testing and treating viral hepatitis. Health Policy Watch (HPW): The Medicines Patent Pool is widely considered a success. Can you tell us what the Medicines Patent Pool does, and how its work has changed over the years? CHARLES GORE: The Medicines Patent Pool persuades the companies that develop and bring to market new drugs to give us a licence for low-and middle-income countries. We then select generic companies to whom we give sublicences allowing them to compete with each other to produce very cheap but high-quality versions of these drugs for sale in countries that would otherwise not be able to afford them. These sublicences also allow generic companies to produce new formulations of the drugs, for example for children, or combine drugs developed by different companies into new combinations. We do this in areas where organisations like the World Health Organization (WHO) advise us there is a public health need. So we began in HIV in 2010 and then expanded in 2015 to tuberculosis and hepatitis C and are now expanding to include other new essential medicines such as those on the WHO Essential Medicine List. That means looking at a lot of new disease areas to select potential candidates for in-licensing – and making sure we have the expertise to do so. HPW: Can you talk about the expansion into HCV and what needed to happen for that to take place, and do you anticipate donors backing expansion into further diseases? GORE: Up until very recently we were exclusively funded by Unitaid. As a result we could not work in areas where Unitaid itself had no mandate. Once Unitaid began to open up more to HIV coinfections such as hepatitis C, it made sense to broaden our mandate too. And of course hepatitis C was a special case with the advent of amazing new drugs offering a cure, but at potentially unaffordable prices. I believe what we do has a very important role in enabling access for many countries. We are not the only solution but we offer a unique, public health-centred model. I think that our proven track record and the fact that as we expand into new areas we will become a health systems player contributing to the achievement of Universal Health Coverage rather than being linked to a few specific diseases will make us an attractive proposition for donors. HPW: Please describe some current activities of the Pool. You came on I believe about a year ago. How would you say you are making your mark? GORE: We recently got the licence for AbbVie’s combination of Glecaprevir and Pibrentasvir, a key hepatitis C treatment, and are currently in the process of sublicensing it to generic companies. I would like to think that I contributed somewhat to this because of my 20 years’ experience of working in hepatitis C but the MPP’s success is down to a whole team effort. Our business development team, based in Geneva and India, work with the originator companies [that develop and bring to market new drugs] to obtain the licences and then manage the sublicensing [to generic companies], which includes helping our generic partners with development. Our policy team helps inform us which drugs we should look to licence as well as creating, together with the communications team, the environment in which originators are happy to grant us licences. Our legal team oversee our rigorous generic manufacturer selection process and negotiate the terms of both licences and sublicences to ensure they are truly public health agreements. And of course support staff make all this possible. My job is really to make it all work harmoniously; it’s not at all about ‘making my mark’. One of my key jobs is overseeing our expansion into the new areas and so one of our key current activities is the creation of a framework to guide us in the selection of new drugs to target in areas such as cancer, heart disease, diabetes, antimicrobials that we are now looking at for the first time. HPW: What are some prospects for this year, and for the coming years? GORE: We are maintaining our focus on HIV, hepatitis C and TB, for example looking at possible long-acting formulations for HIV and hepatitis C, while finalising our target drugs that are on, or are good candidates for, the WHO Essential Medicines List. The study we conducted on the feasibility of expanding our mandate highlighted, for example, drugs for chronic myeloid leukemia and type 2 diabetes, as well as anti-microbials and novel anticoagulants as possible targets. However, final decisions are some way off as there are many factors that we need to consider, including the public health benefit, the extent to which the price could fall through public health licensing, the level of demand, support from civil society, health system capacity as well as originator willingness. HPW: How do you measure the impact of the Pool’s work? How do you ensure that the MPP licenses provide added value over the current state of affairs? GORE: We measure our impact in terms of the number of people who benefit by accessing the drugs produced under our licences as well as the savings to governments of buying at the generic price as opposed to the best price available from originators. Where there are patents in place that could delay the development or sale of generic drugs, which can be the case in countries we serve, our licences allow the sale of high quality but low priced drugs and as such offer significant added value. Because our model involves giving sublicences to a number of generic companies, competition between them keeps the price low. HPW: Looking at NCDs, what do you think of the access programs for NCDs that companies claim to have? GORE: It’s hard to generalise about companies’ access programmes in NCDs because there are a wide variety. At times, companies have also put in place pilot projects in specific countries, some of which have helped out a lot of people in getting access to diagnosis, treatment and care. But such pilots inevitably remain circumscribed to a small number of countries or communities. If I had to generalise I would say my major concern is they look like charity and are rarely sustainable, with all that entails. In contrast, we have developed a sustainable business model. That doesn’t mean there is no role for company access programmes but I would prefer to see them as stop-gaps, for example in the interim period while our sublicensees are developing generic versions. HPW: A quick question – why does the MPP refer to companies as “partners” when they are parties to the agreement? GORE: The quick answer is – because that’s how we see them. Originators, generic companies and MPP work together willingly and cooperatively to provide affordable, high quality access. HPW: Early on, with HIV, the Pool had support of key governments in getting companies to the table. Do you see this happening again for medicines for NCDs? GORE: Yes I do. In addition to private consultations we have held with countries, many have publicly expressed their support for our expansion, most recently at the WHO Executive Board meeting in January. They want access to the best drugs for their people as soon as possible but at a price they can afford.